Being a food blogger does have some perks, one of them is trying out new products I might not otherwise get my hands on. After noticing that we had bought some habañeros and other spicy peppers at the Penn Quarter Farmer’s Market, Plato’s Olive Oil contacted us to see if we would be interested in trying out one of their infused olive oils. Of course Sam, the spice lover of this household, wanted to give this a try. He’s even been thinking about making some of his own! So we waited patiently for our olive oil to arrive. Plato’s Olive Oil is a family owed company based in California. The owner was looking for an olive oil infused with spicy flavors, and wasn’t able to find any- so he began experimenting! The original, and the product which was sent us, is their habañero-infused olive oil, which comes from the Napa region in California. To give it a try, I decided to make some lentil curry- and thought that the extra spice from Plato’s olive oil would be a perfect kick. And I was not disappointed, the olive oil gave this dish the extra spice it needed! But there is no way around it, and many food bloggers and photographers can agree, brown food is so difficult to photograph! But sometimes- in this case a spicy veggie curry- it’s so delicious, I wish it’d look a bit nicer to show off it’s tastiness. Heat up the olive oil in a large pot. Once heated, add the onions and allow them to cook for about 5 minutes, or until they become translucent. Then add in the garlic, carrots, ginger and jalapeños. Cook for an additional 3-5 minutes, stirring occasionally. Next add in the curry paste, cayenne pepper, cumin and coriander. Allow to cook for about a minute, then add in the tomatoes, coconut milk and lentils. Stir well and bring to a boil. Then lower to a simmer, and cook until the beans are done (about 40 minutes). 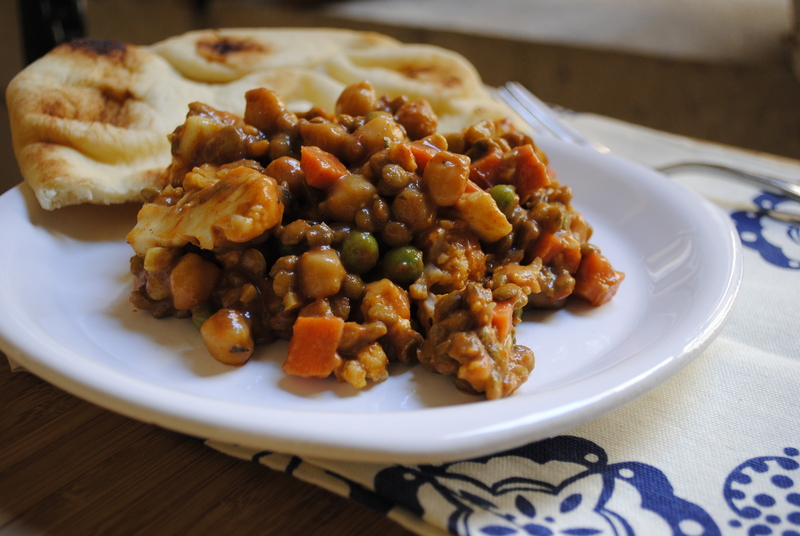 Once the lentils are cooked, add in the chickpeas, cauliflower and peas. Cook on low heat for about 10 minutes, stirring occasionally. Finally, stir in the cilantro and serve. Disclosure: I received a bottle of Plato’s Habanero-Infused Olive Oil to try, but did not receive additional compensation for this post, or was under any obligation to blog about it. I cannot believe that it’s August, I feel like summer is flying by! We’re trying to enjoy the the summer fruits and vegetables every single day. There are many fresh tomatoes, zucchini’s and cucumbers in our fridge. I’ve been trying to make easy salads that incorporate summer vegetables. This is a salad which was not only nutritious, but also delicious (sorry, that’s so cheesy!). But it’s true! Definitely a keeper for a lunch salad. It’s great with a slice of fresh bread or a pita. Cook lentils in boiling water for about 20 minutes. Drain, and add to a large bowl. 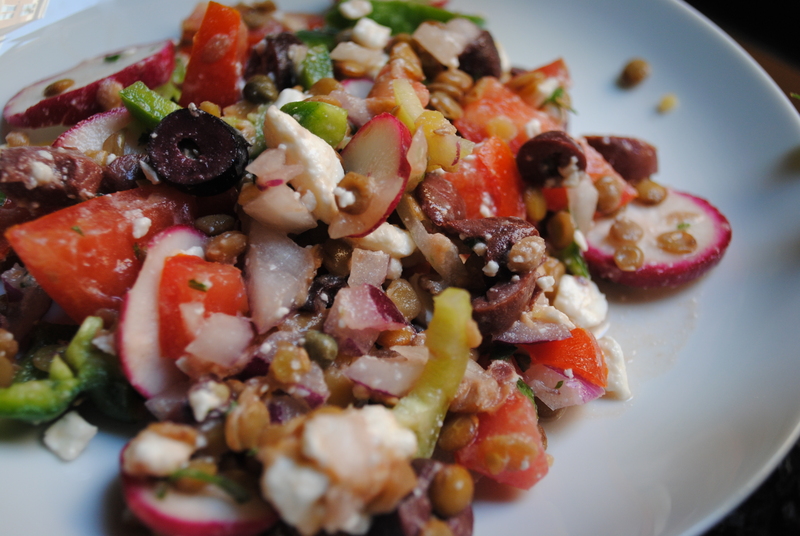 Add the tomatoes, red onion, radishes, bell peppers, cilantro, kalamata olives, capers, olive oil, lemon juice and feta cheese. Toss all of the ingredients together before serving. This is a great salad for a quick and easy dinner. Since it’s more savory when the squash is warm, and the greens don’t get soggy- this one is a make right before you eat. 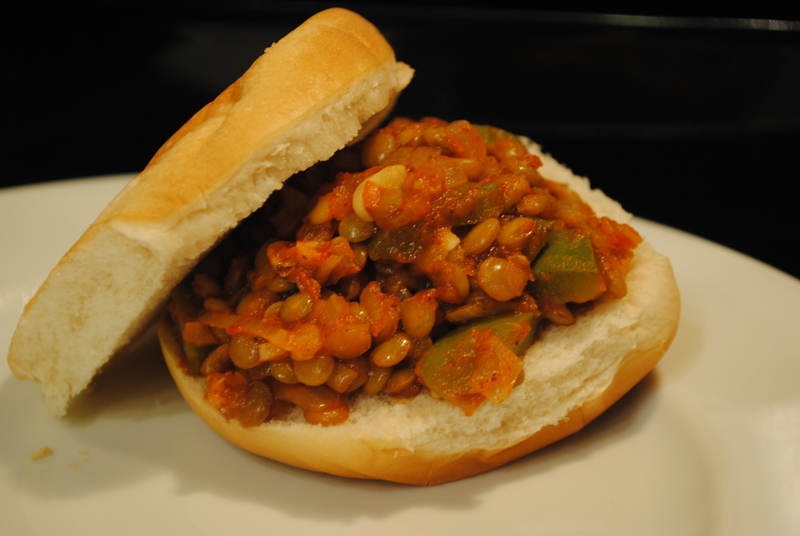 It’s a good mix of a light salad, but filling with the squash and lentils. Since there are plenty of squash to choose from, it should not be limited to butternut squash, feel free to try others. Preheat over to 400 degrees. Toss the squash with 4 tbsp of oil, cumin, paprika, salt and red pepper flakes. Arrange in a single layer on a baking sheet and roast for about 20 minutes; flip squash and roast for another 15 minutes. When squash is tender, take it out of the oven and let it cool. While the squash roasts, cook lentils in boiling salted water until tender (20-30 minutes). After they are cooked, drain and rinse with cold water. 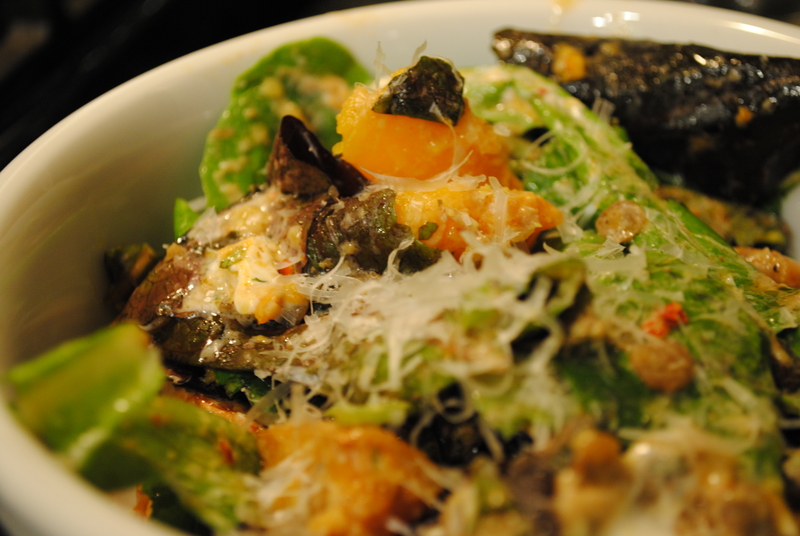 Combine the lentils, squash, goat cheese and greens in a large bowl. In a separate bowl mix mint, vinegar and 2 tbsp oil. Add the dressing to the salad, season with extra salt if desired. Divide between 3-4 bowls, and lightly sprinkle each of them with Parmesan.